The floor of the largest on-campus Starbucks shines in the Union. 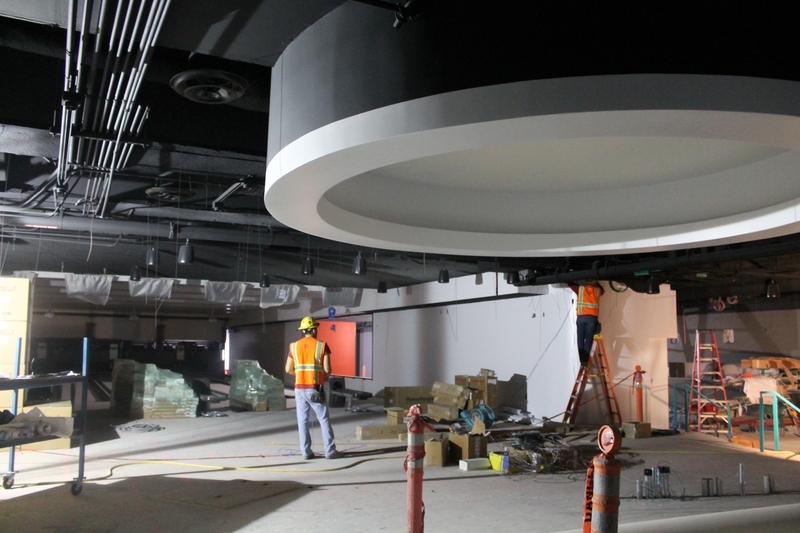 The new University Information Center gets ready for its occupants. 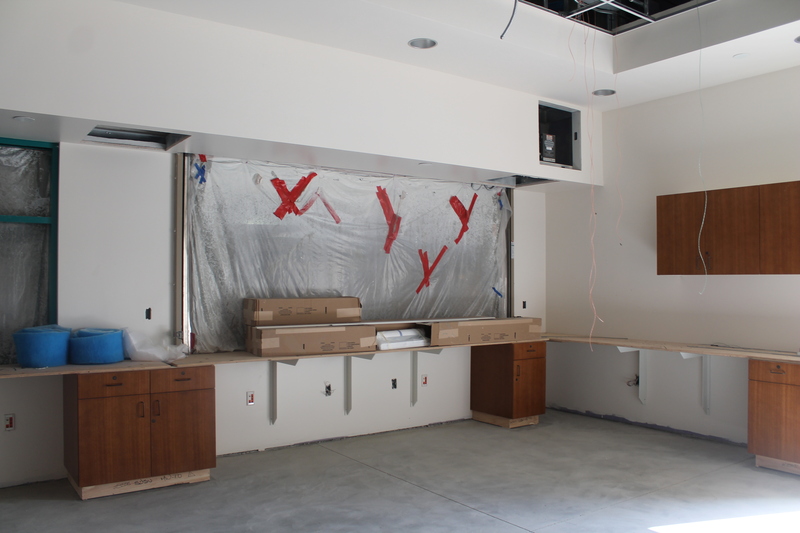 The Aztec Lanes service counter is under construction. 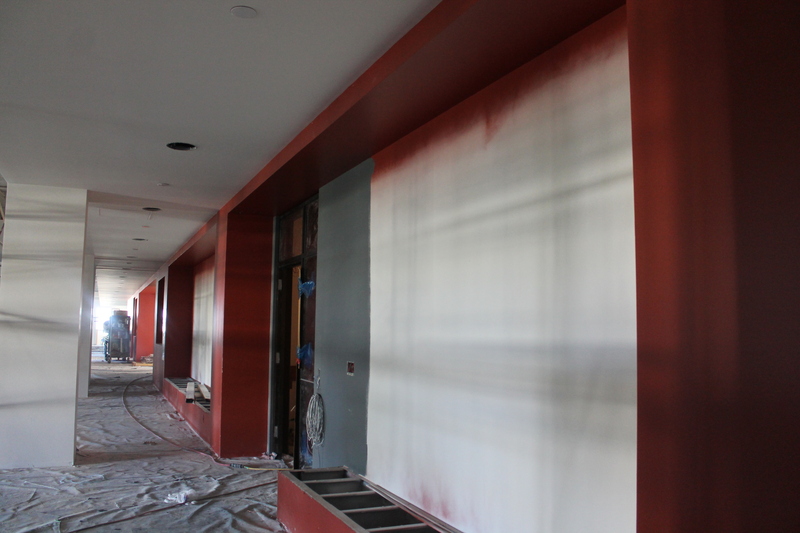 A red accent wall extends its way through the student organization offices area.